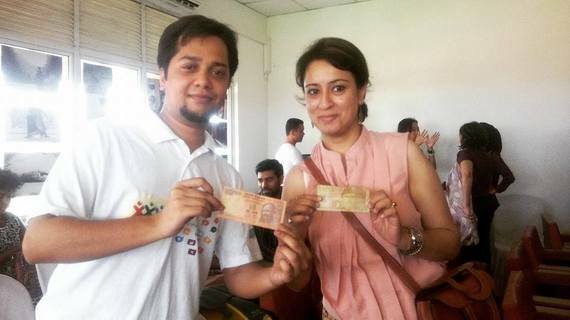 The first thing that comes in our mind when we hear the word "SAARC" must be "conflict." Unlike the European Union, that has abolished all barriers that ever existed between its member states, SAARC (South Asian Association for Regional Cooperation) is an organization that even though claims to represent 8 South Asian countries yet it is impossible for citizens of those eight states to move from one country to another without going though the strict visa process that stands as huge obstacles between the borders of those states. This is why instead of easing those visa restrictions, the issues that dominate SAARC summits are usually the issue of Durand Line and cross-Taliban extremism for Pakistan and Afghanistan, border issues between India and Nepal and India and Bangladesh, and of course the long-standing Kashmir problem of India and Pakistan. This is why these Summits usually go unnoticed as political leaders of these South Asian states just sit and put the blame game on other nations for "destabilizing the entire region." However, things are pretty different when instead of national leaders of these states, the youth of these states meet up. 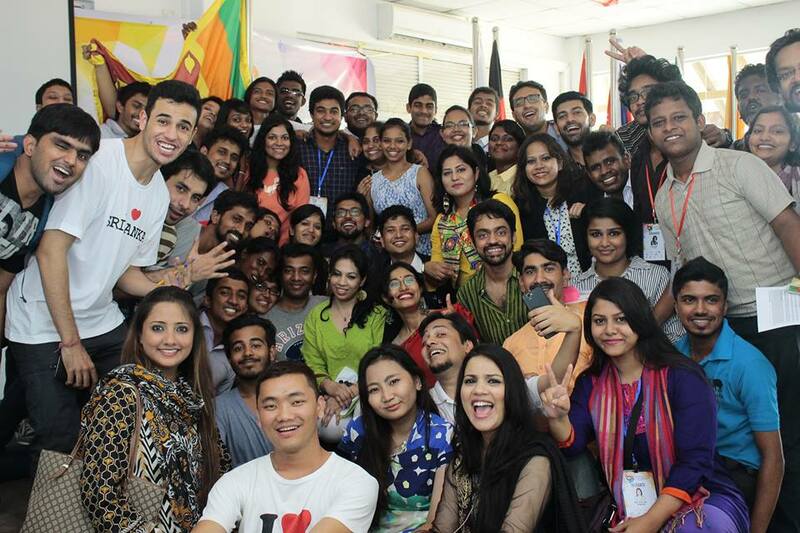 Couple of weeks back, I happened to tour Sri Lanka after I was invited to represent the Pakistani delegation 2015 South Asian Youth Conference which took place in Colombo, Sri Lanka. It was organized by a group of South Asian youth from India and Sri Lanka in association with the South Asia center of Atlantic Council, a Washington based Think Tank. The media perception that often tells us how hard is it for Indians and Pakistanis to walk together or how Bangladeshis and Pakistanis despise each other for what happened in 1971, was absolutely shattered on the very first day when I reached my destination and the first person who welcomed me by saying "Assalam o Alaikum Bhaijaan" was Mr. Bhushan Reddy, an Indian delegate hailing from Hyderabad. I sat with him, and had a delightful discussion. From time to time, delegates from different countries continued to come and all were greeting each other as one would greet family, contrary to how it is portrayed in the mainstream media. From then to the next 4 days, all the borders that ever existed between people of these nations were abolished, there were no Pakistanis, Indians, Sri Lankans or Bangladeshis, for once, we all were South Asians who watched cricket and some of Bollywood classics like "Gangs of Wassaypur" together. All South Asians danced on some of the coolest Desi songs while all had "Dhamaal" on traditional Sufi Music. It was wonderfully delightful to hear Indians, Afghans and Bangladeshis singing songs of legendary Nusrat Fateh Ali Khan and while discussing cricket, it turned out that the Pakistani cricketing superstar, Shahid Khan Afridi holds massive fan following in Sri Lanka and the popularity of Pakistan's Coke Studio among Indians was as much if not more than in Pakistan. 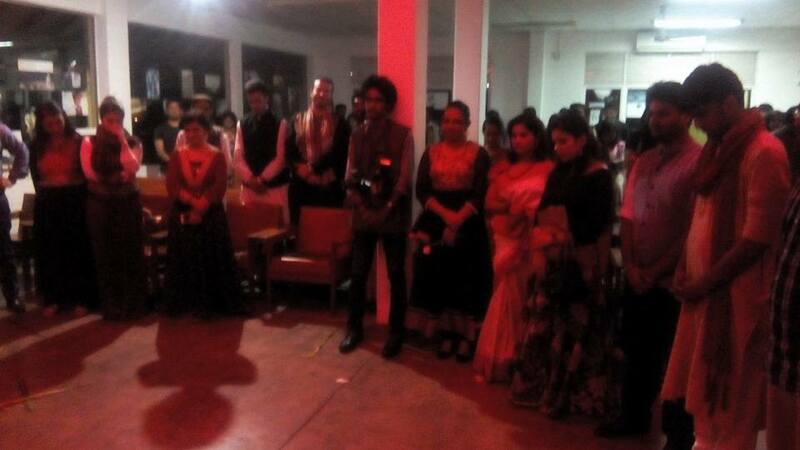 The four day conference concluded on Cultural night when all participating nations presented their culture. Since Pakistani delegates included two participants from Tharparker and Umarkot area of interior Sindh, therefore a special performance on the renowned Sindhi song "Jiay Sindh Jiay" was initially started by these two Sindhi boys wearing their traditional Ajrek and Sindhi topi but within minutes, it wasn't just restricted to Sindh or Pakistan as all the delegates from other countries joined them and as the song ended, Indians, Sri Lankans, Nepalese, Bangladeshis, Afghans, Maldivians, Chinese, Burmese and Indonesians were on the dance floor. This South Asian experience was not my first experience with South Asians, in the past I have already attended South Asian Peace conferences in New Delhi and Islamabad and apart from that, last year when I toured United States, I happened to meet and interact with a lot of South Asians, not to mention my work due to which I have to stay in contact with several people online, yet Colombo had its own importance. From late night political, historical discussions with my Indian room mates, to getting surprised after hearing Nepalese speaking fluent Urdu to countless selfies with Sri Lankan hosts and enjoying the "Namo Namo" part in their national anthem, to post conference dances with Maldivian buddies to hearing some of the experiences of Afghans who had lived some parts of their lives in Pakistan to all the way exchanging good bye hugs with Bangladeshis, receiving love and friendship notes from Indians and singing "Jana Gana Mana" along with Indians, we all came to one conclusion that people of this region hate each other as long as we don't communicate with each other, the moment we start communicating we realize how we all have been misled at the hands of media and hate mongering politicians.